When I think of Serj Tankian's solo career I hate to say it but I don't think it's been that great. I'm not knocking his ability to make good songs or that he's a bad musician or anything, but I just look at his solo career on one side, and look at his System of a Down career on the other side and see just a massive difference in quality. But with "Figure it Out", on first glance, you ACTUALLY think it's System of a Down. It's probably the most "SOAD" Serj has sounded doing his solo career. And that certainly isn't a bad thing... unless it makes your heart ache because of how much you wish SOAD would make more music again. 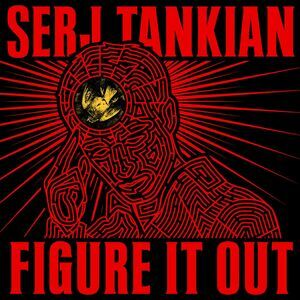 If you haven't heard "Figure it Out" because you've rejected Serj's solo career and you love SOAD, if there's one song you need to give a chance it's this one. You won't regret it. If you missed #36 go here.